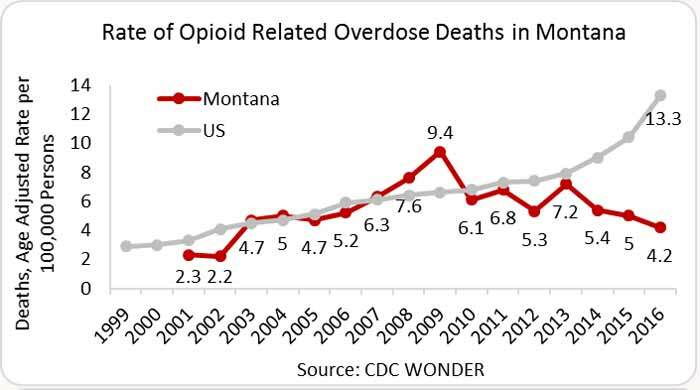 In 2016, there were 42 opioid-related overdose deaths­­­ in Montana—a rate of 4.2 deaths per 100,000 persons—the lowest rate in over a decade and less than a third the national rate of 13.3 deaths per 100,000 persons. Half of all deaths were related to prescription opioids and nearly half to synthetic opioids (including fentanyl). There are no data available on overdose deaths related to heroin. 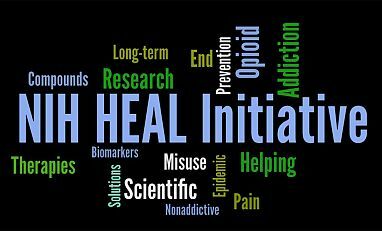 In 2015, Montana providers wrote 90 opioid prescriptions per 100 persons (approximately 722,011 prescriptions)—more than the average national rate of 70 opioid prescriptions per 100 persons (IMS Health, 2016). The rate of NAS in hospital deliveries was 9.0 cases per 1,000 live births in 2013 (Montana DHHS). A 2013 analysis across 28 states estimated a national NAS average of 6.0 cases per 1,000 births (CDC, MMWR, 2014). State Incidence: Of the new HIV cases in 2015, 19 occurred in Montana, with 23.1 percent1 of new cases in males attributed to IDU and 0.0 percent of new cases in females attributed to IDU (AIDSVu). State Prevalence: In 2014, an estimated 548 persons were living with a diagnosed HIV infection in Montana—a rate of 64 cases per 100,000 persons. Of these, 25.7 percent1 of males and 32.9 percent of females were living with HIV attributed to IDU (AIDSVu). State Incidence: In 2015, Montana reported 1,354 cases of chronic HCV and 15 cases of acute HCV (1.5 cases per 100,000 persons) (CDC). From 2010 to 2014, Montana reported 52 cases of acute HCV reported in Montana. 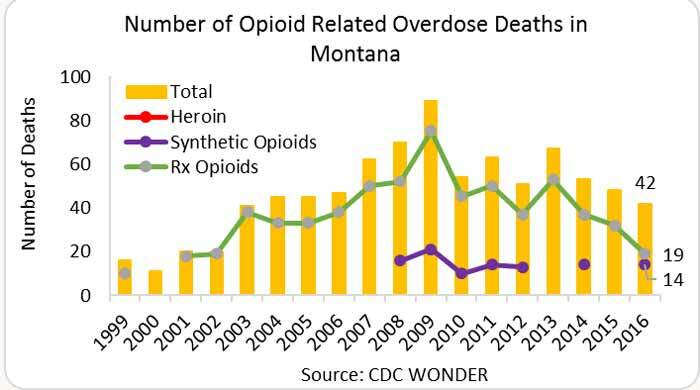 Of these, 29 reported injection drug use within 6 months of diagnosis (MT.gov). State Prevalence: Current state prevalence data are not available. As of 2010, an estimated 14,900 persons (1,940 cases per 100,000) were living with HCV in Montana (HepVu).